1. A bad concrete job is almost always the result of poor preparation, placing, finishing and/or curing practices. Very seldom is the concrete itself of poor quality. There are only a few variables in making ready mix concrete. The odds are that the failure occurred because of one or more of the many variables in preparation, placing, finishing, and/or curing. 2. Concrete test cylinders do not measure the strength of in-place concrete. Test cylinders are very useful for evaluating concrete mix designs, but they do not replicate the conditions of in-place concrete. In order to have a valid comparison of test results the samples must be taken and cured in a consistent manner with a limited range of variables. Concrete in-place is subject to many different environmental conditions that are not usually the same as the test cylinders and those conditions will usually result in lower strength of in-place concrete. That is why cores taken from in-place concrete only need to meet 85% of the specified strength. 3. Liquid admixtures are a fairly insignificant addition to the cost of a cubic yard of concrete. 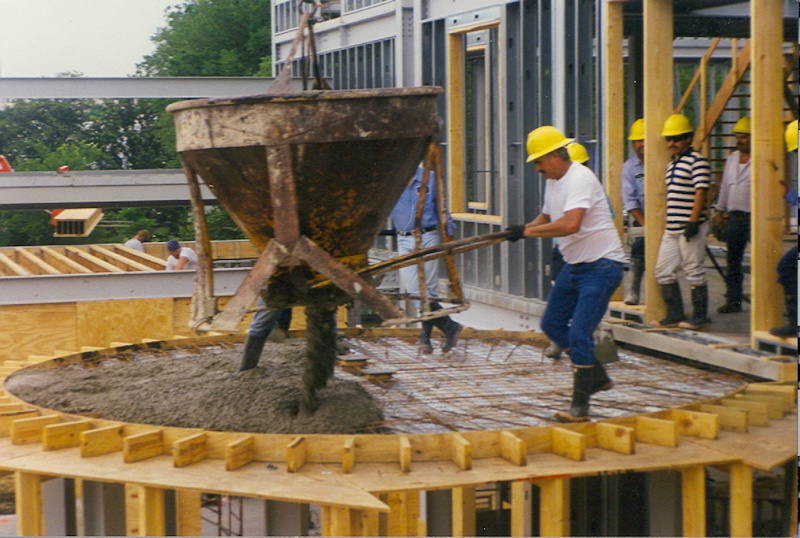 High quality admixtures make concrete stronger, more durable, and improve finishability. The cost difference between using a low quality admixture and a high quality admixture is slight, so always use a ready mix company that uses high quality admixtures. 4. If you don’t use a membrane curing compound on your concrete job you are throwing away a sack of cement in the mix. I really don’t know the exact amount of cement you are wasting, but it is significant. Always use a curing method on your concrete. A membrane curing compound is the cheapest and easiest way to make your concrete more durable, less permeable, and stronger. If you can’t use a membrane curing compound, use one of the other methods like sheets or moist blankets. Those methods are more difficult to use and maintain than a sprayed on membrane curing compound, but are better than not curing at all. Say placing concrete, not pouring concrete. Say finishing concrete, not smoothing it out. The chutes on the back of the concrete truck are called chutes, not shoots or troughs. The round thing that turns on a mixer truck is called a drum, also sometimes called a bowl. The truck that delivers concrete is called a ready mix truck, a mixer truck, or a concrete truck. It is not a cement truck. 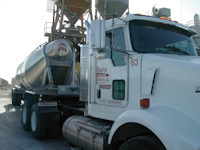 A cement truck is a tractor trailer combination with a pneumatic tanker that blows cement into a silo at the batch plant.